As of late, we’ve had several back-to-back weekends full of, well, nothing. Sure, we’ve gotten out and about and done things, but we haven’t had schedule full of to-do’s or traveling. Of course all that is about to change this coming week as we head to Kentucky for Thanksgiving, but we’ve had several leisurely weekends at home. 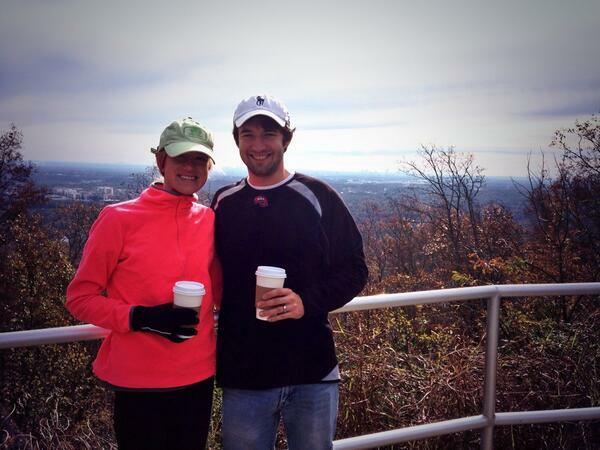 Two Saturdays ago we got up early to hike up Kennesaw Mountain. It had been a little over two years since the first time we went, hiking to the top for a lunch picnic with several other couples. This time it was just the two of us and we stopped at a quaint little coffee shop along the way to pick up coffee and breakfast. The view at the top is worth the short hike up and the Atlanta skyline is just beautiful. Like I said in my previous post, I have definitely taken a new liking to Fall. We’ve had a lot of fun decorating our home for the Fall season. 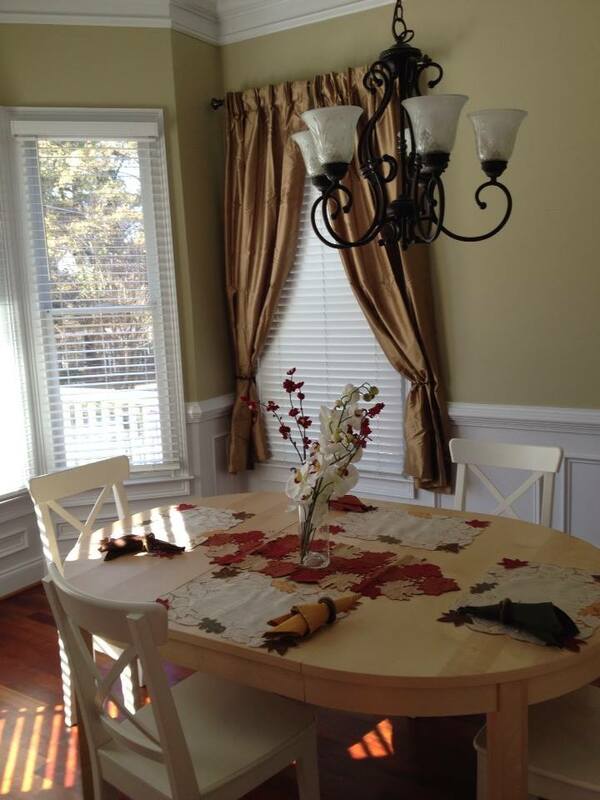 It’s also been fun to take our time adding things here and there, like hanging up the gold window treatments in the dining room and finding new pillows for the couch. I think I’ve been to TJ Maxx more times in the past two months than I ever have in my entire life. 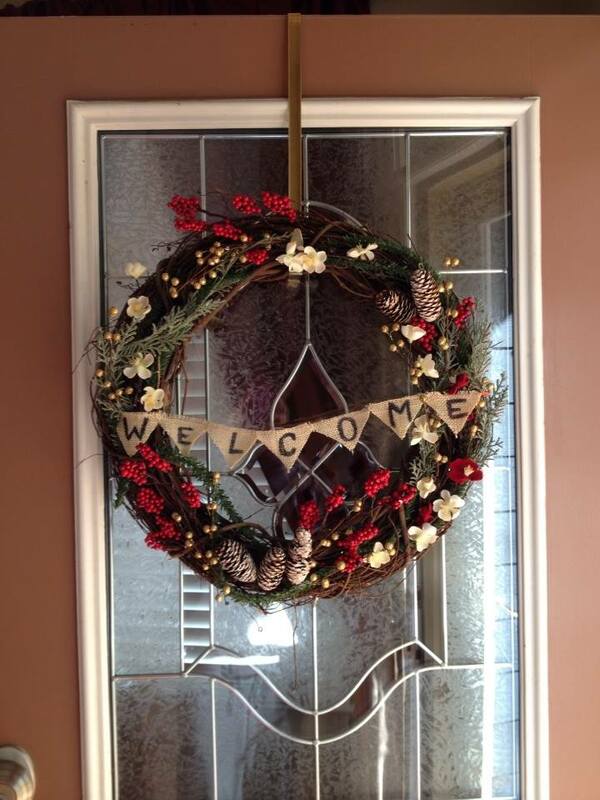 This past Tuesday night, I headed to a friend’s house for a girls’ night full of laughter, hot soup, and crafting. Several of us made wreaths and though I thought I could hold out hanging ours until after Thanksgiving, I just couldn’t wait. Yes, I am one of those people that post-Halloween, I crank up the Michael Buble Christmas music on Pandora. Don’t get me wrong, I love Thanksgiving (if you’ve seen the incredibly spread at my parent’s house, what’s not to love? ), but as soon as November 29th rolls around, I am in full blown Christmas mode. That being said, I’m using this post as an opportunity to hold myself accountable for being content and grateful throughout the holiday season. I want relax and soak it all in, rather than spinning my wheels in anticipation of what is still left to be done. It’s no fun wishing away the magic of the season, in hopes that it may arrive a bit quicker. We’ve spent the last several weeks at church diving into what it means to intentionally seek out rest. It almost seems like a contradiction to talk about during this time of year, but perhaps this is when we need it most. I plan to journal each and every day, noting everything from the mundane and ordinary to the extraordinary. Too many days go by where I try to remember what happened that day, only to forget or have one day run into the next. By giving each day its own celebration, I think the season overall will be much, much richer. Your home looks beautiful! I need to hike Kennesaw Mountain soon…it’s so pretty this time of year.